Hi! My name is Melissa and I am a Registered Dietitian, certified lactation counselor (CLC) and mom to two sweet, energetic boys. I specialize in maternal health and wellness (prenatal, postnatal, infant/toddler nutrition) and am extremely passionate about helping busy moms become more confident in nourishing themselves and their babies. I promote intuitive, mindful eating techniques and strategies that are sustainable. In order to develop a healthy relationship with food we must learn to eliminate the ideas of restriction and deprivation and rid ourselves of guilt, negativity and stress surrounding food and body image. Being a little kinder to ourselves can go a long way! Not to mention, adopting this mindset and learning to model these behaviors and attitudes for our children will promote their development into confident, adventurous eaters. I highlight flavor, taste, fresh ingredients and most importantly the origins of our food. More often than not, skip the preservatives, chemicals, additives and the like; eat real, whole foods that you enjoy. Yes, I am a Registered Dietitian, and I ENCOURAGE you to eat chocolate (and other foods that make you happy). I also encourage you to take a step back and learn about where your food comes from and how it impacts your body and the health of you and your families. We can’t escape the food culture that we live in, but we can certainly learn to navigate it successfully. So eliminate the word diet from your vocabulary and don’t get wrapped up in the trends and hypes that continuously flood the media. Think simple. Think fresh. Think realistically. Chickpeas & Chocolate focuses on creating and maintaining a healthy relationship with food from a young age. Be sure to check out our blog, which provides a wealth of information on prenatal, postnatal and infant/toddler nutrition, along with easy, short-on-time recipes. a Clinical Dietetic Internship through NewYork Presbyterian Hospital. 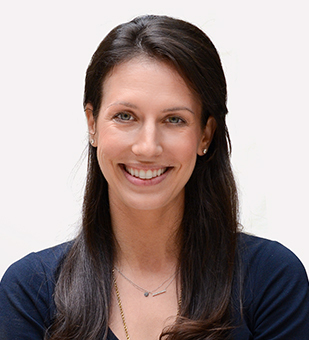 She is a graduate of Aviva Romm’s Professional Training Program in Women’s Functional and Integrative Medicine and is also a Certified Lactation Counselor after training with Healthy Children’s Center for Breastfeeding.